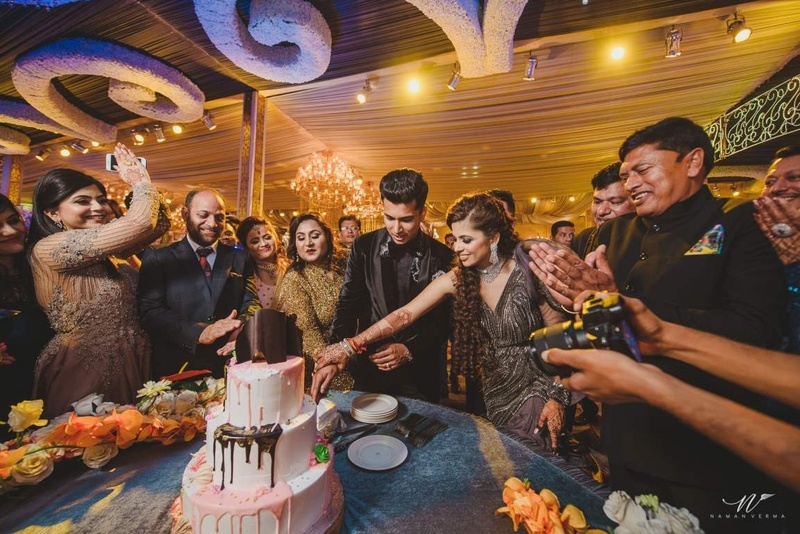 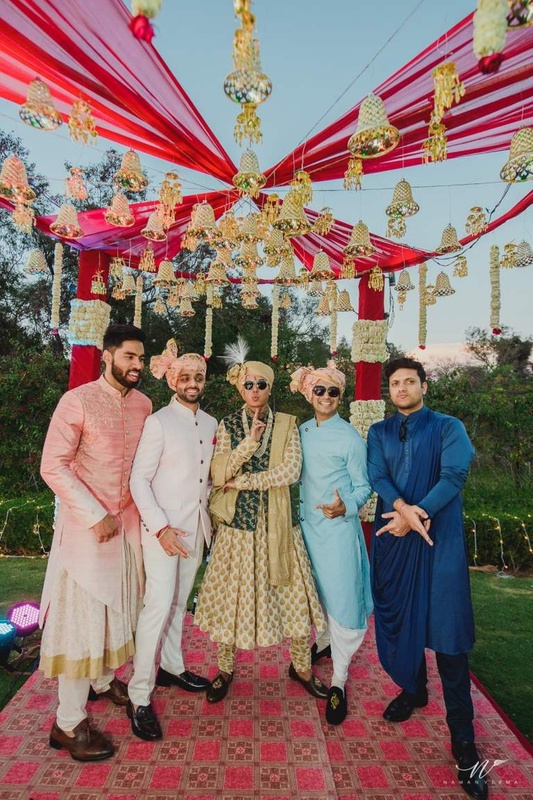 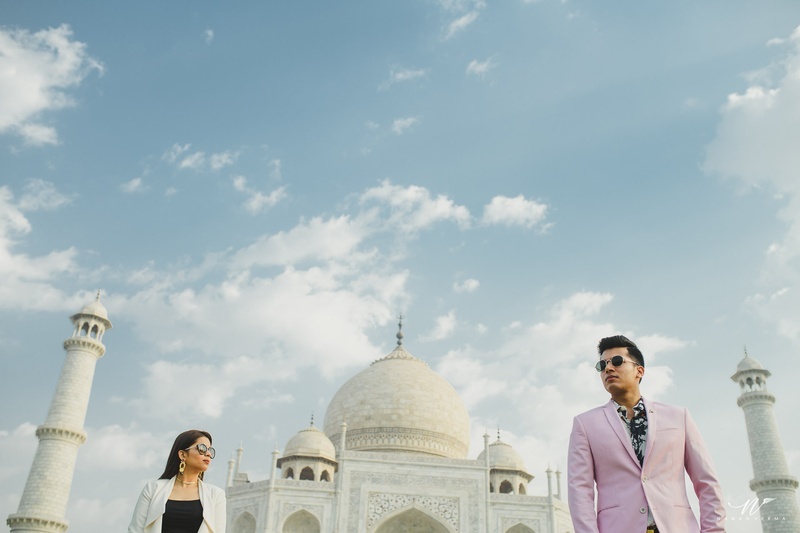 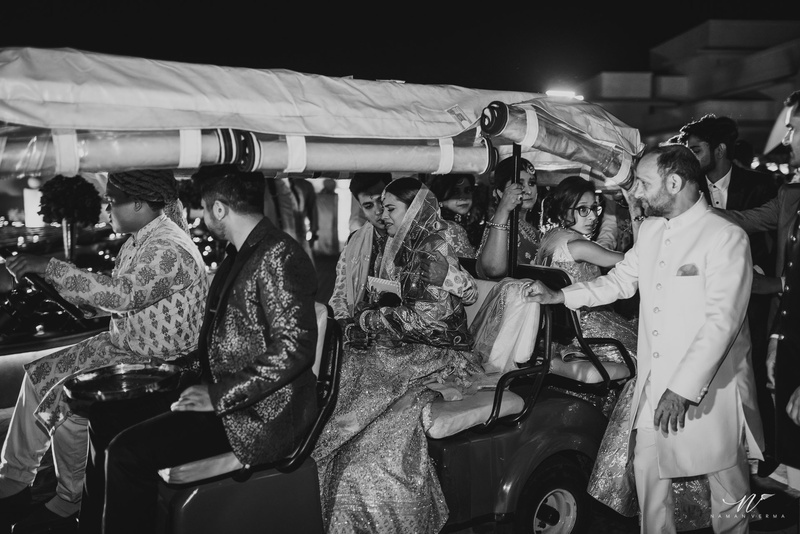 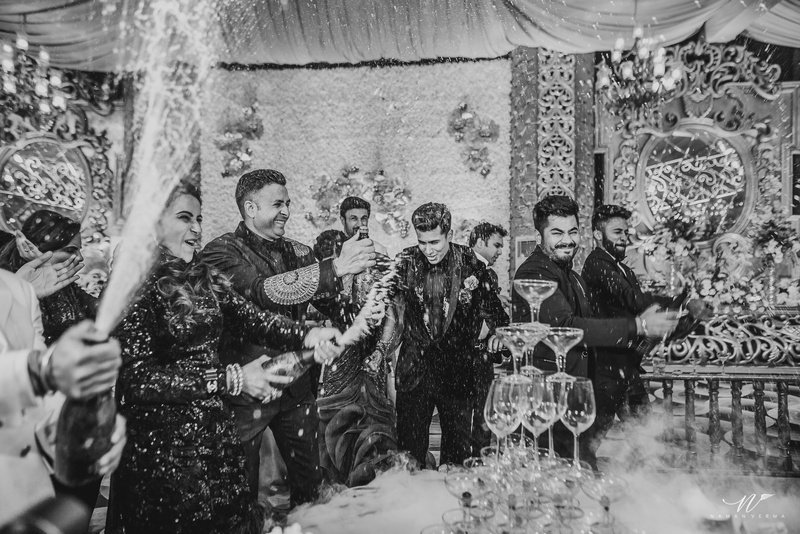 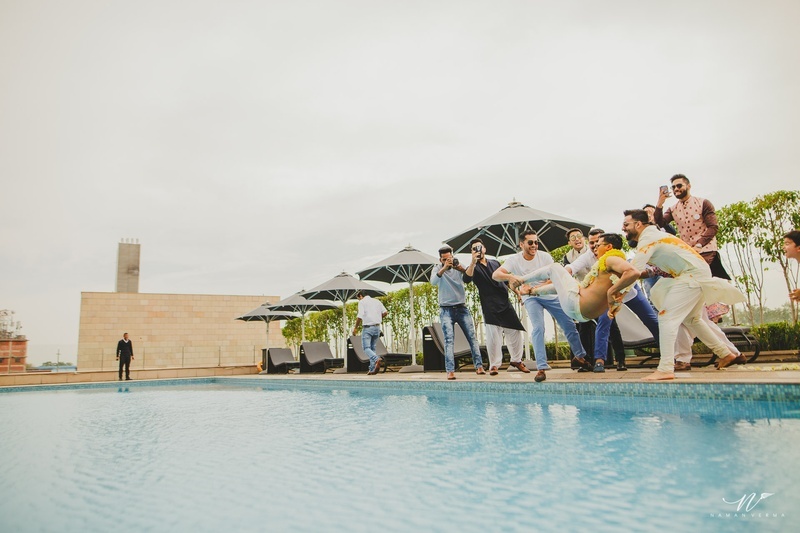 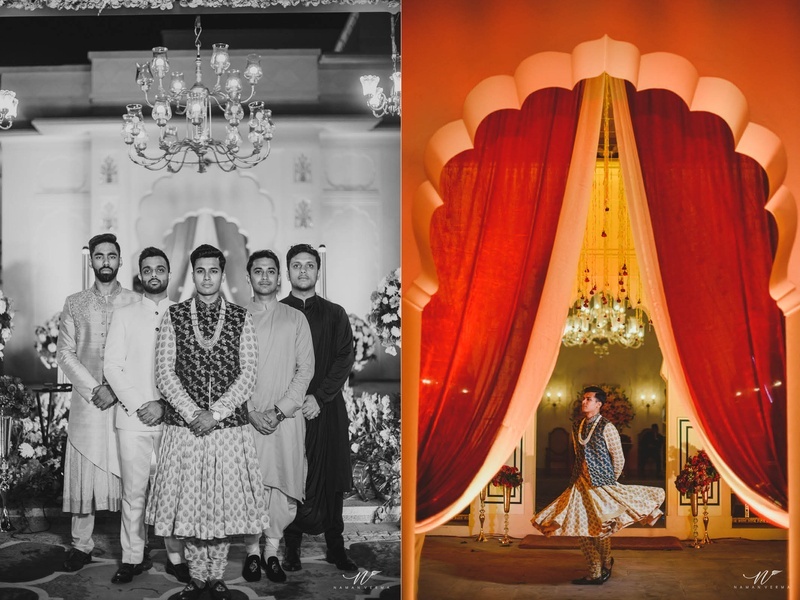 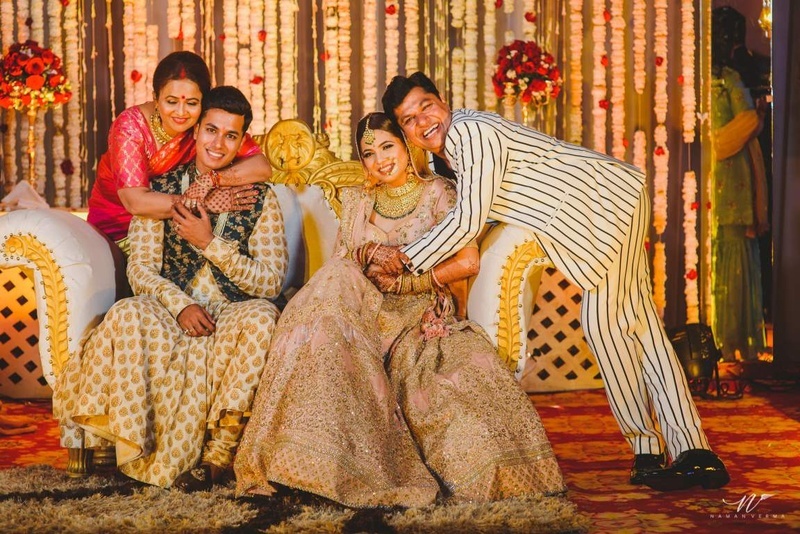 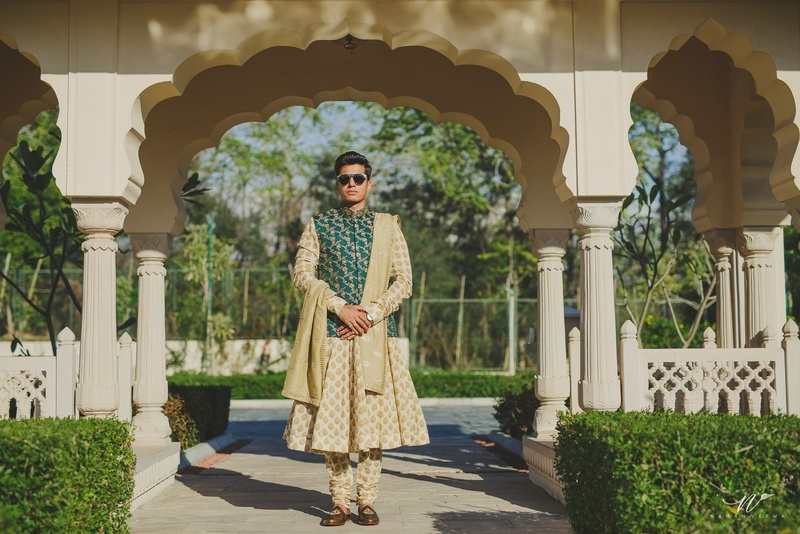 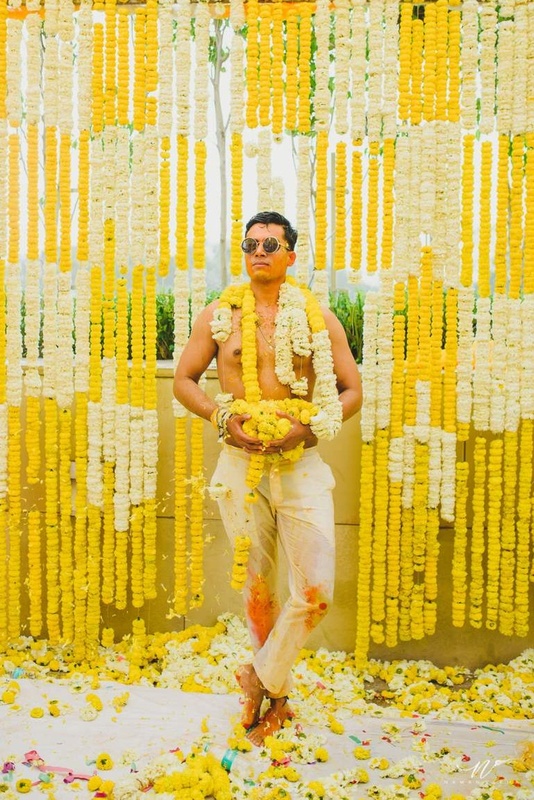 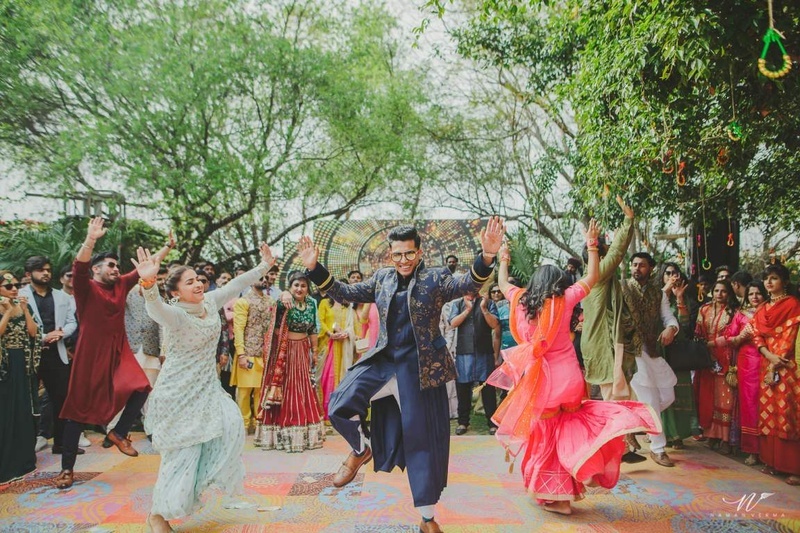 This Oberoi, Chandigarh wedding was styled by the fashion blogger groom himself! 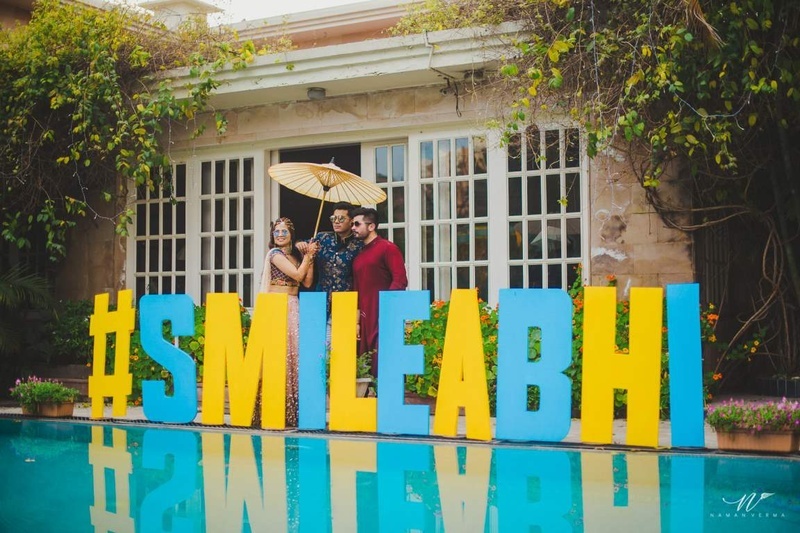 Smily and Abheshek, our two lovebirds, just got hitched in the most stylish and elegant wedding we've ever seen at The Oberoi, Chandigarh. 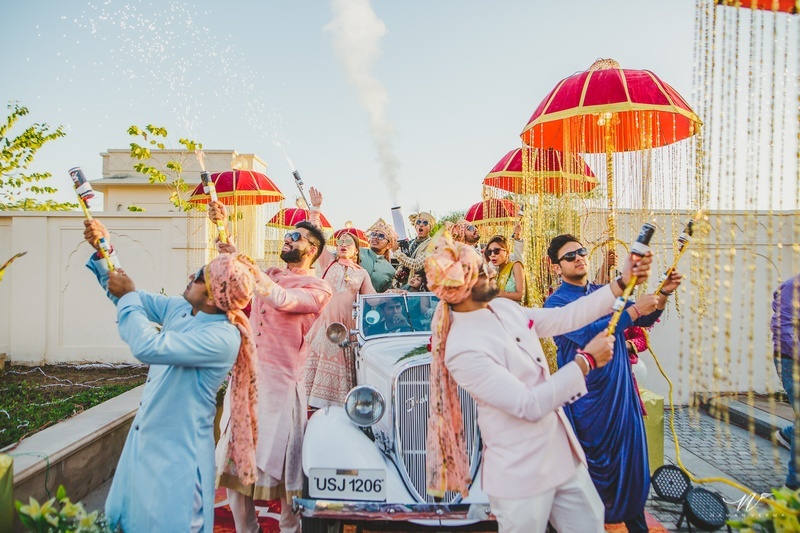 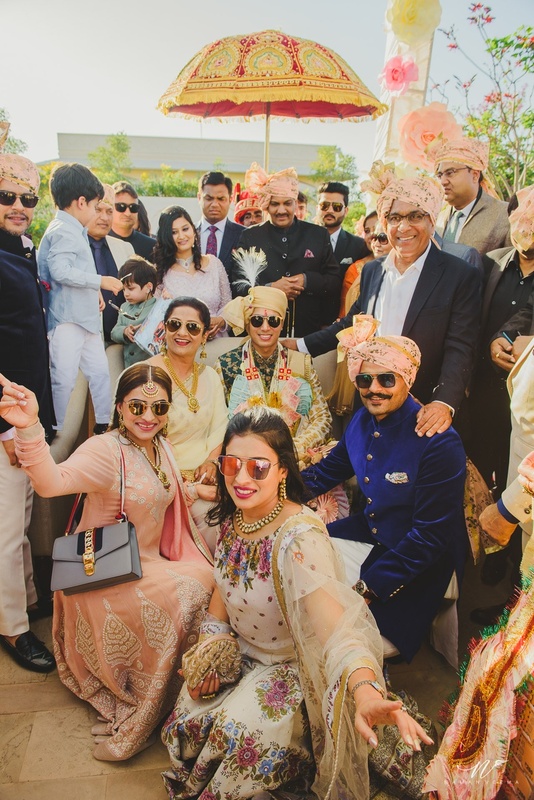 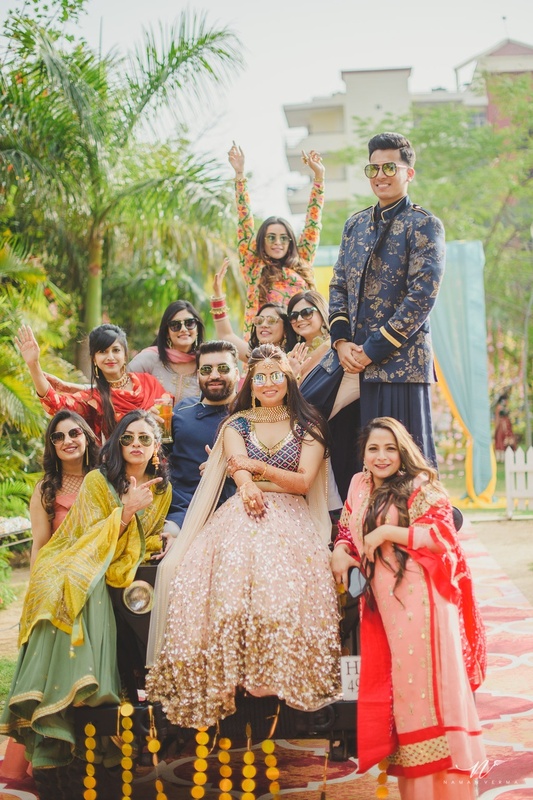 Providing them with the perfect combination between royal interiors and plus exterior lawns, The Oberoi, Chandigarh played host to this amazing wedding party! 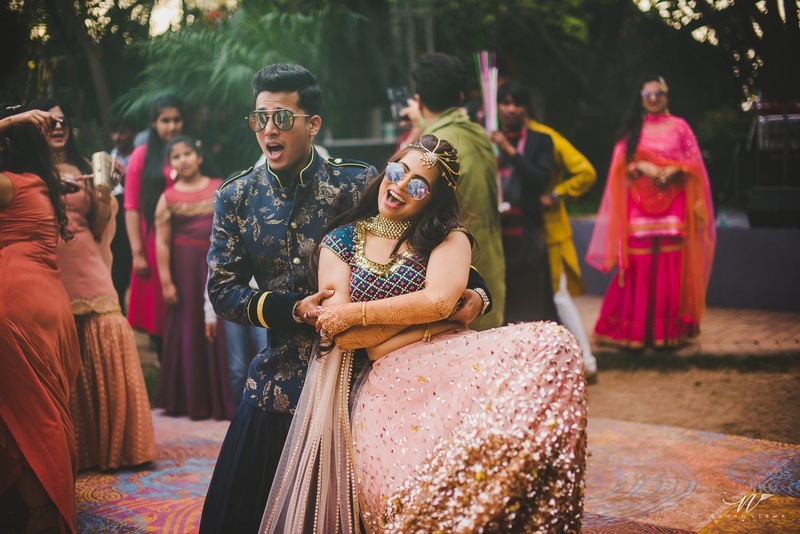 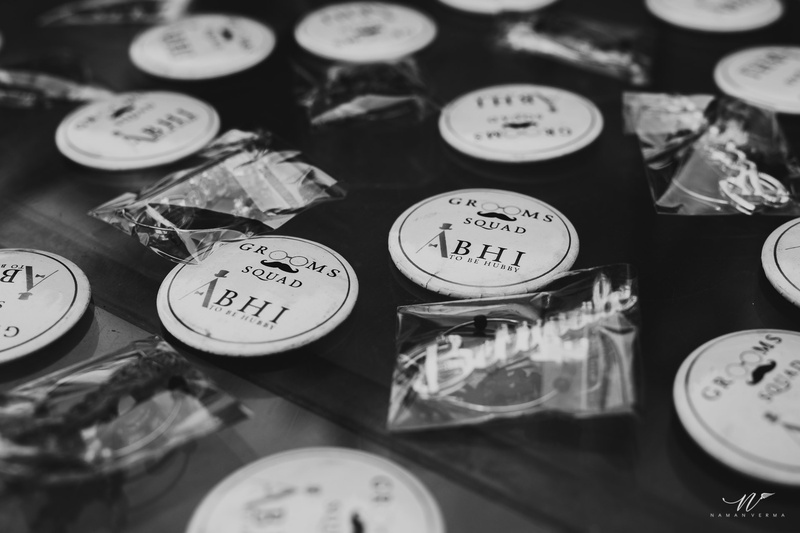 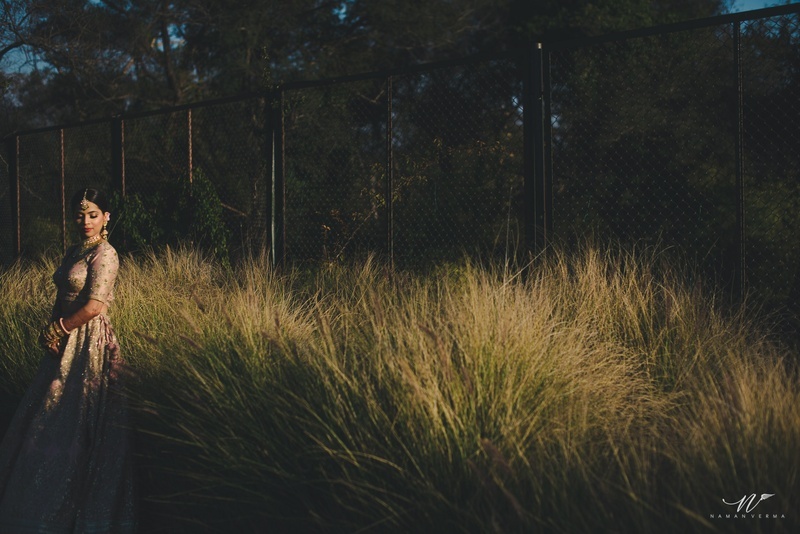 Abheshek, fashion blogger extraordinaire, talked to us about how they met! 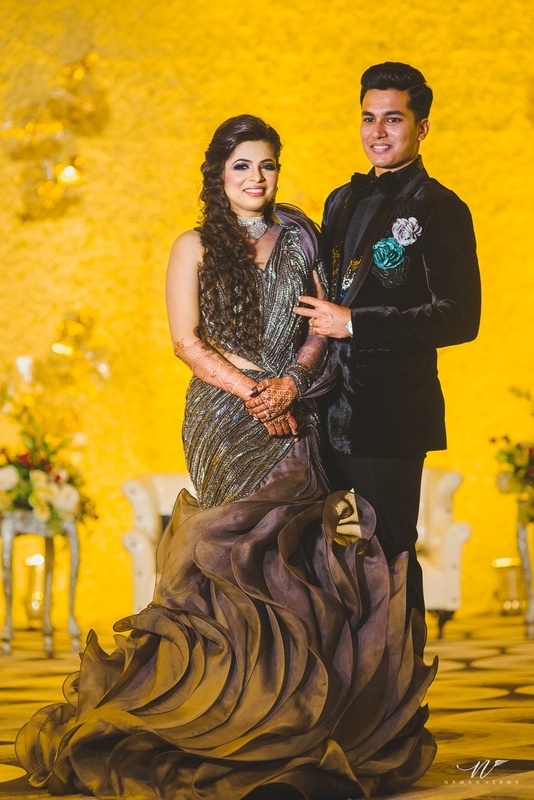 "We met through a common friend in Chandigarh where i was visiting that friend while studying engineering in Patiala. 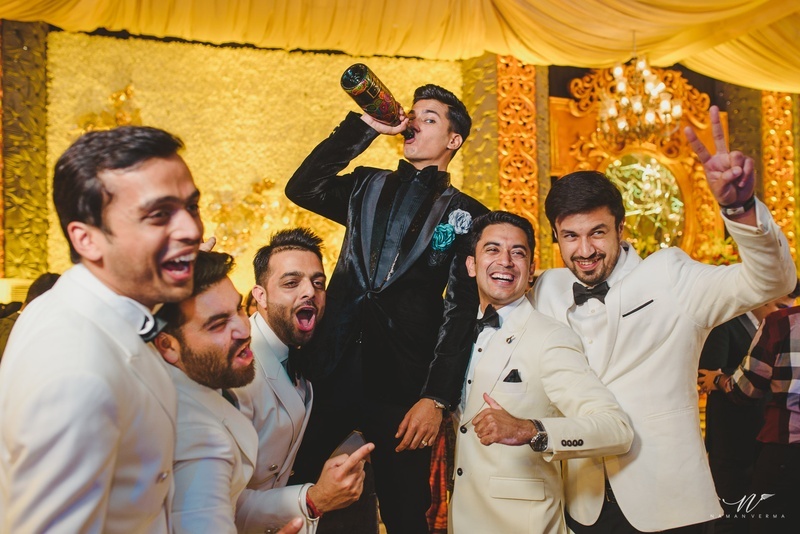 So as soon as we guys met there was a connect. 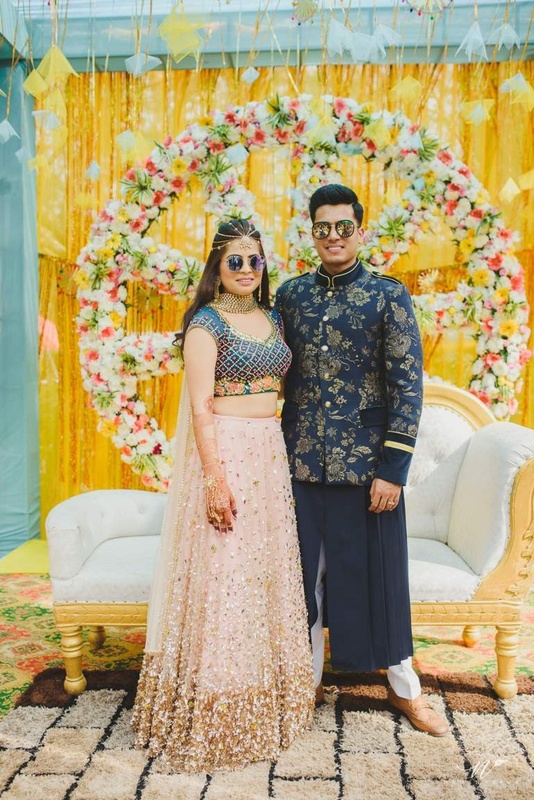 After a while, me and smily started talking and eventually fell in love"
Smily, a Chartered Accountant herself, claims "People say long distances do not last for very long and yet, we made it work for four years. 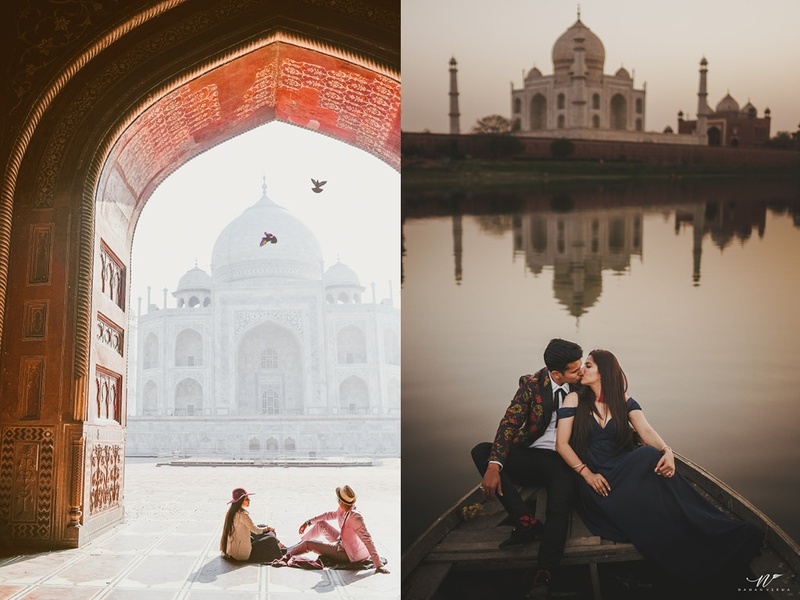 Throughout these four years we have been in different cities. 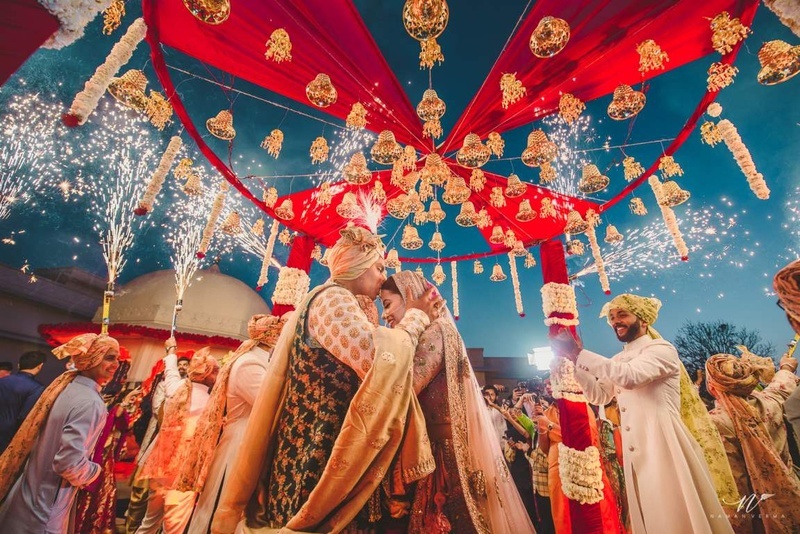 I was in Chandigarh throughout and he graduated from Patiala and then did his post graduation from London and eventually settled in Yamunanagar. 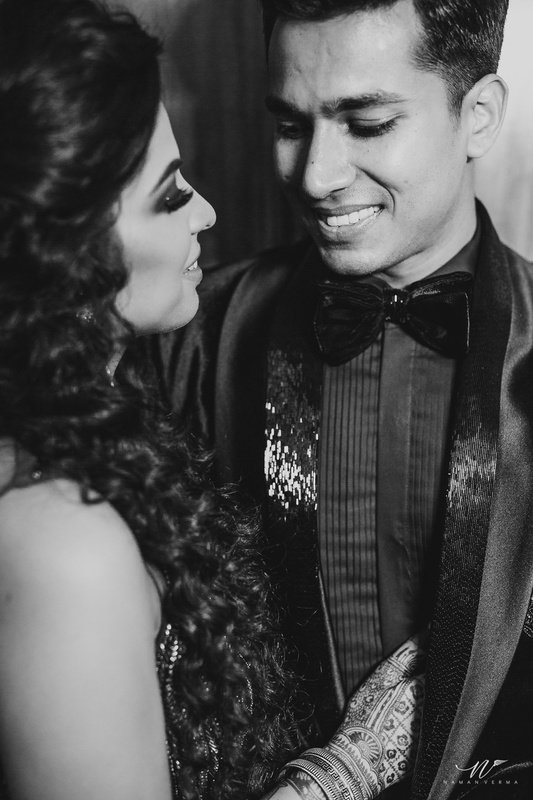 We have seen a lot together but have happily stuck together. 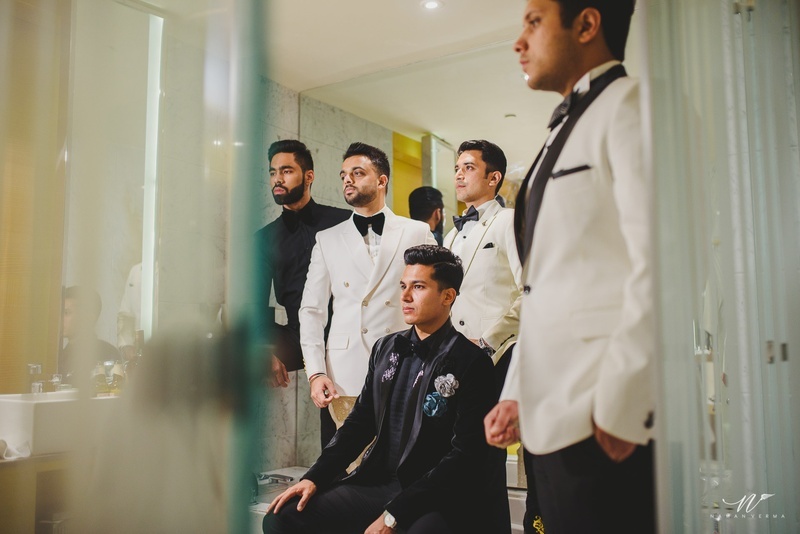 This makes us different"
How did you end up styling the wedding? 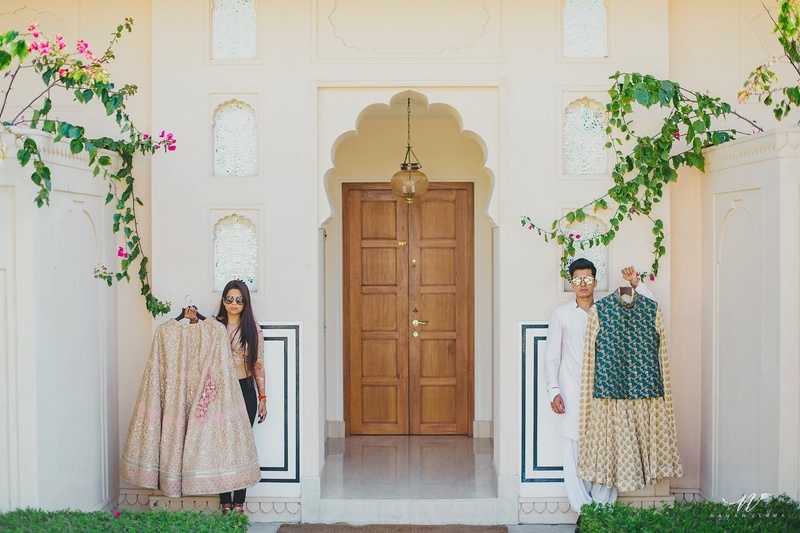 Abheshe, being an ardent fashion blogger and stylist, curated and styled the wedding, choosing garments from all over the place, making sure that the one thing that remained constant was elegance and color balance. 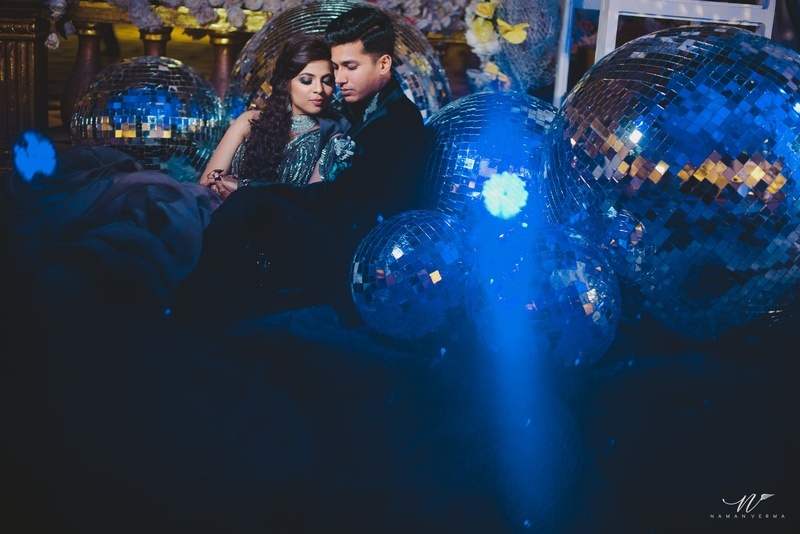 He says, "I'm the one whose the stylist for both of us and she being the chilled out one always agrees to everything i say. 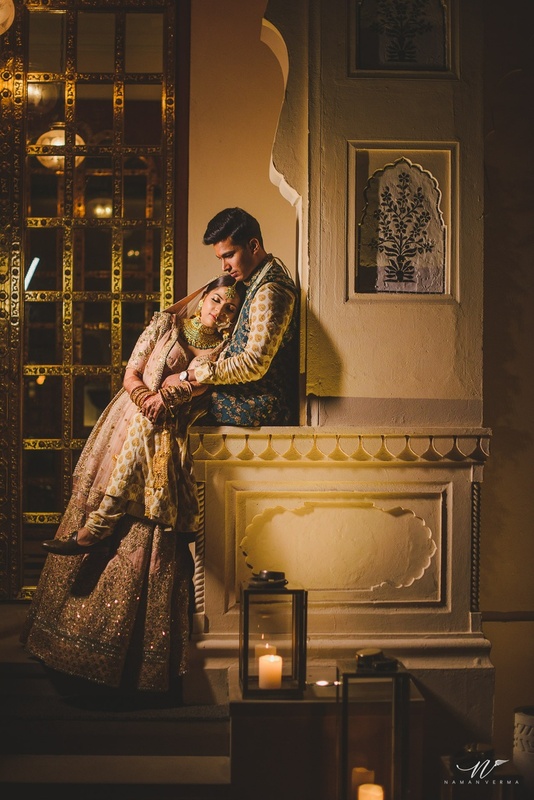 Well we are kind of each other's personal photographers so we like taking pictures of each other and me being a bollywood buff we also love watching movies together. 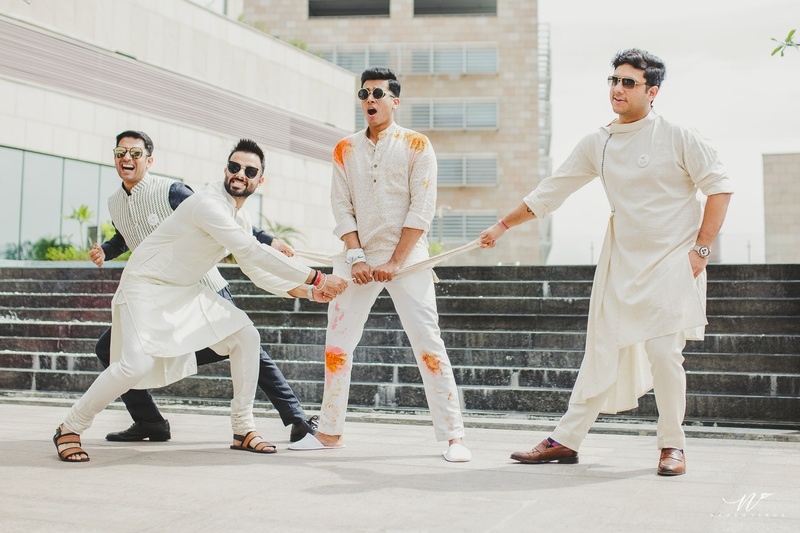 We have the best of our time with our set of common friends may it be any sort of a plan." 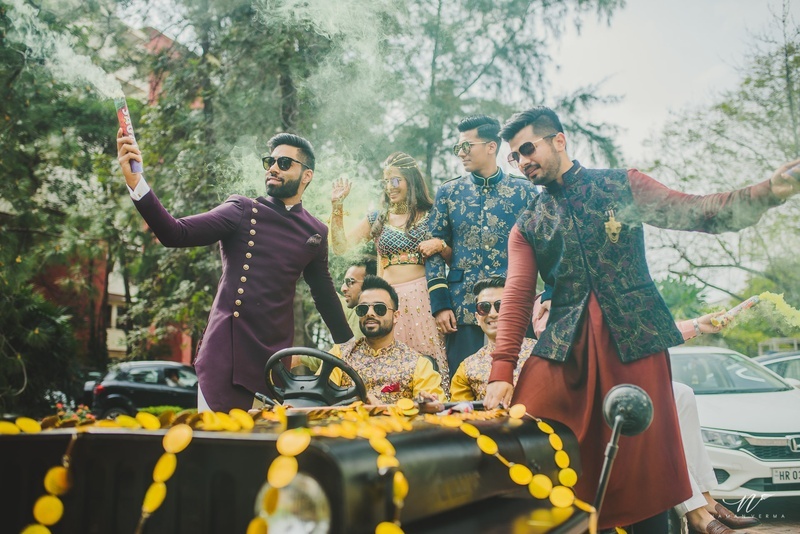 Well we sure can't take our eyes off of the brilliant outfits that graced the wedding, looking something like a Vogue spread. 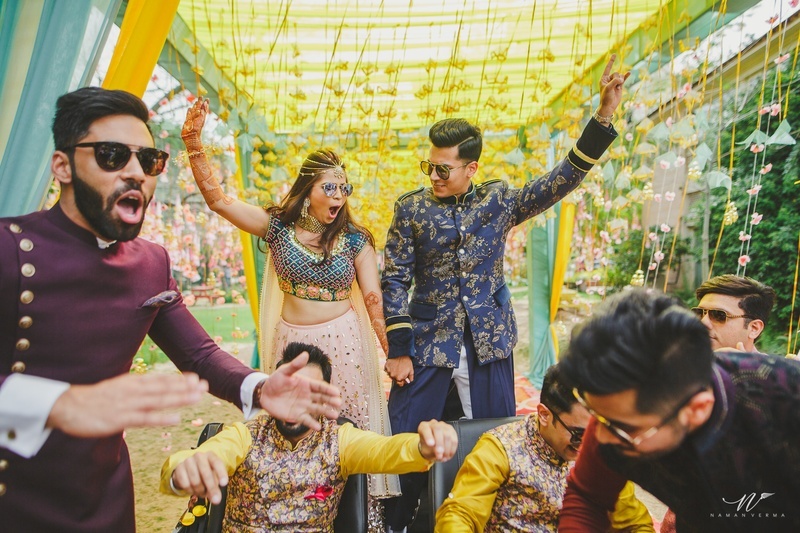 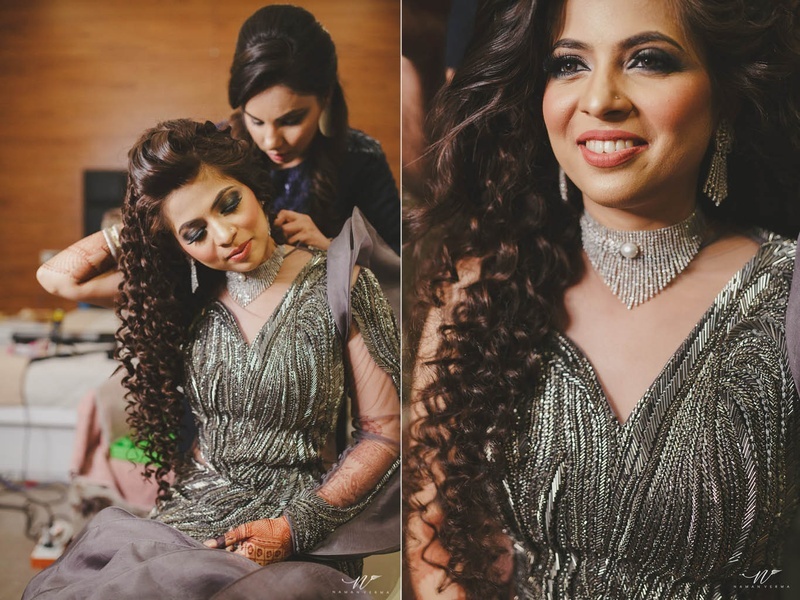 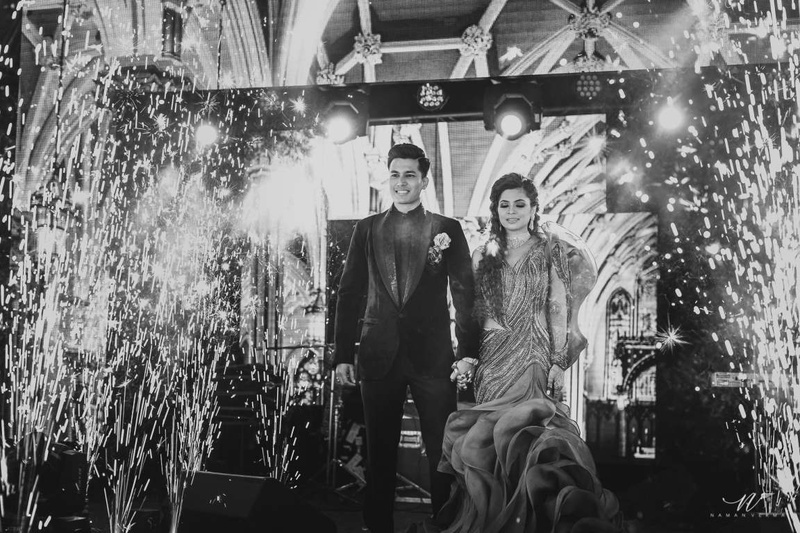 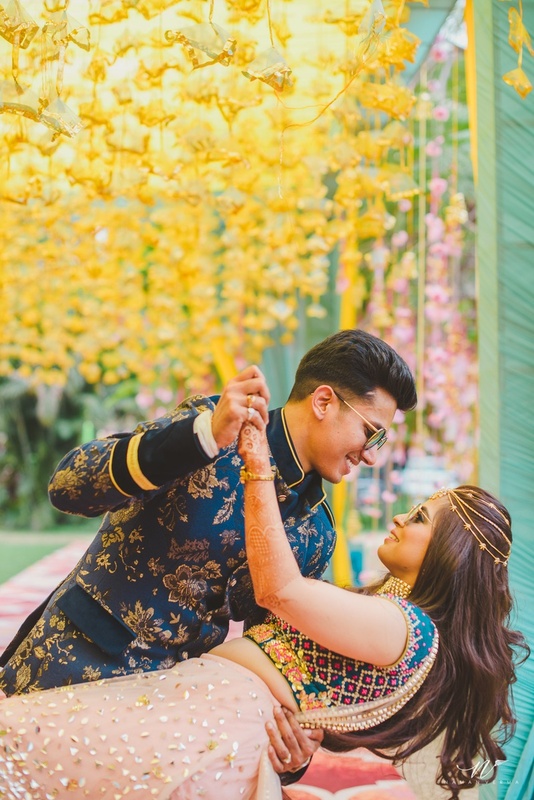 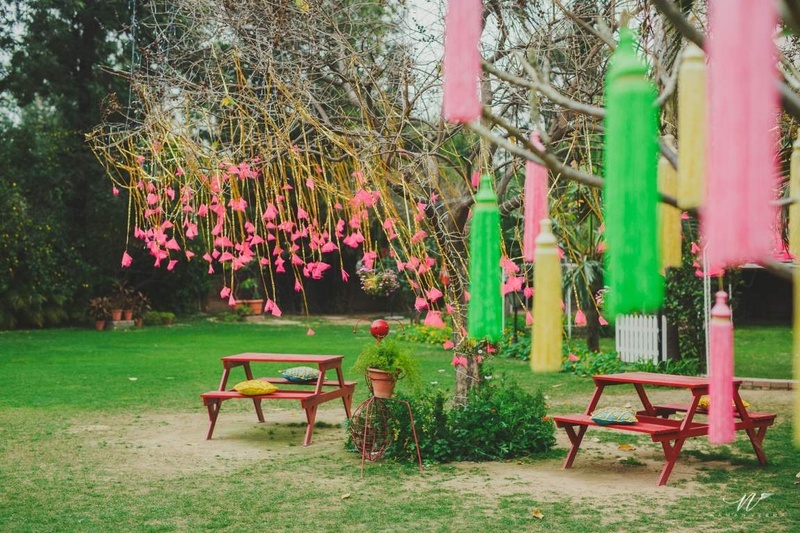 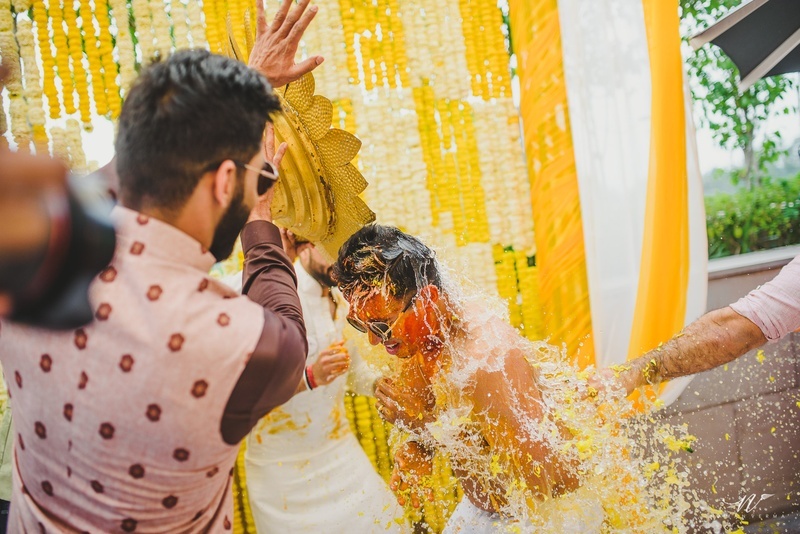 Feast your eyes on the gorgeous pictures of this Oberoid, Chandigarh wedding!